Carey offers a comprehensive, high quality music program. Students have the opportunity to be involved in bands, orchestras, choirs, chamber groups and contemporary ensembles at all levels. They progress through graded ensembles as they gain experience and expertise on their instrument. In addition, students can be involved in extension activities such as theatre orchestras. 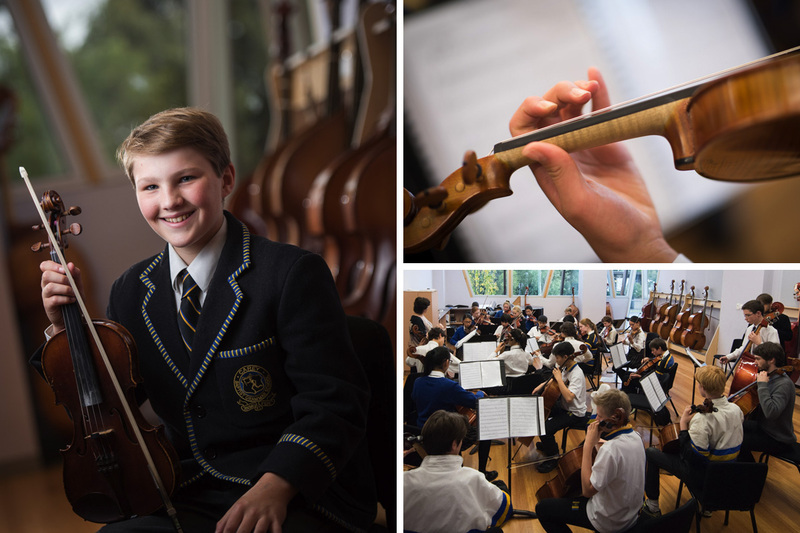 Performance opportunities include school concerts and assemblies, music festivals, musical productions, performance master classes and workshops, community events and tours throughout Australia and overseas. Instrumental and vocal tuition is available from specialists who are experts in their field. The tuition, ensemble and classroom programs are integrally linked and facilitate the development of outstanding performance skills and musical literacy. Carey’s expert music staff members offer a rich range of skills and experience in music performance and music education. With over 35 music staff members, students have the opportunity to learn from specialists in a wide range of music and instruments. Carey has a visiting artists program that allows students to work with and perform alongside some of the world’s best musicians. Visiting artists in recent years have included Mark Eager, Leroy Jones and James Morrison.